I first discovered your magazine and find inspiration in every issue. I’d love the sun-faded copy! I really enjoy your posts about activities/lessons with the kids. It’s exactly like reading about activities I have with my grandkids. Not only do I have to keep them on task, I also have to keep myself on task! My older 3 grandchildren are 2 girls & their younger brother, so you can imagine the eye-rolling & difficulty taking turns! The younger ones are 3 little stair-step brothers who now live with us most of the time, so I’m always saying “Hands!” to remind them to keep their hands to themselves, or not to grab, or just injure any of us in their excitement! It will have to be the gardening and self suffency. I am just getting started in that area, and MJF has been a tremendous help! I now have more confidence in myself an feel like I can weather the storm, so to speak. Thank you for all that you do, an for everything you continue to do, for those just starting to dip their feet in the self reliance pond! The magazine has been a total inspiration. It made me realize to grow where I am planted…and so I am on our just under 4 acres. Thank you-your magazine has breathed life into me. your magazine and also your emails. I love seeing the photo you send out each day, it calming for me. Many years ago, I picked up the second issue of Mary Jane’s magazine. I was inspired! I was hooked. (I have every issue except the first one.) Since then I have tried so many things. Gardening (love garlic! ), bake overs, learning to knit and sew (I am still looking for a treadle machine), pickling, and so many more things. And now my kids are following! I think our next project will be repainting a bookcase. Thanks Mary Jane! Mary Jane’s Farm magazine has inspired me to try new things I never would have if I had not read the magazine. I read every one from cover to cover. I love the last page and always take away a lot from that article! MaryJanes takes me back to the “Golden Days” when children were children and adults worked hard but lived life to the fullest! I first discovered your magazine in the hospital while my mother was in ICU. I clung to your magazine. It is what kept me grounded in a very bad situation. I did order my own subscription & have just ordered your magazine for one of my daughters. There is just so much good information, recipes, things to inspire you. Thank you MaryJanesFarm. There is so much each month in your magazine and even when readers send in a letter. A lot of learning and ideas. Also it extends to others in crafting, websites, gardening especially with recipe’s. I love all of it. I look forward to this magazine every month and so does my sister Shirley Moreno. I am inspired by all of your products. First found you through books. Was enamored with the Vegetable Ball. Everything about Mary Jane and the Farm inspire me. I LOVE the magazine!!! Mary Jane writes the BEST books. I LOVE being a part of the Sisterhood and all that I’ve learned there, the friends I’ve made, the fun I’ve had. Visiting the farm and meeting Mary Jane and some of her family and staff was AWESOME! Meeting her again at the store in Coeur d’Alene with some other farmgirl friends. At that time around the table with breakfast snacks I remember someone asking Mary Jane why she did/does all the things she does. Her response was “because no one ever told me I couldn’t”! Your dairy and cheese book is the best! I have taught cheese making classes and use some of your recipes and references. I highly recommend your book to all of my students. The photography alone is beautiful and really represents the art of being a dairy maiden! This book was my first book of MaryJane’s collection that I purchased and I bet I read it cover to cover at least five times!! It is full of great stories, things to make, delicious recipes to make and lots of ways to live off the grid and grow your own healthy food. Whoever wins this book is going to love it and I hope they will find ideas that will enrich their life. I know I did!! Absolutely love the magazine and have been a subscriber for quite some time. I must confess to checking the back page first as a quick read…love Rebekah’s insights. Yours is a magazine to look at over and over until the next one comes, then save to pull out a pile of back issues on a cold snowy day. Would love your first book. I’m sure it would be a treasure. I love this book. I do not need this copy as I purchased one several years ago when it first came out. I learned a lot from it and it is still among my most prized possessions. I also love your magazine and I keep them all. 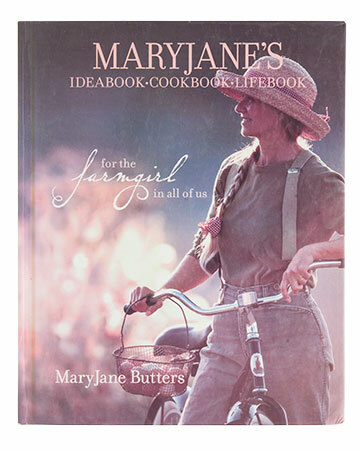 One of my favorite Mary Jane products is her glamping book. 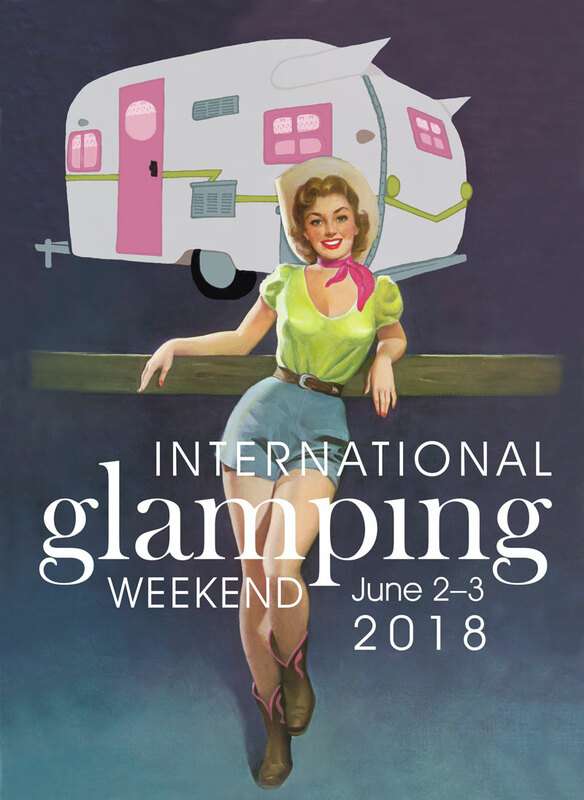 One day my girls (2 and 1 one the way) and I will definitely go on adventures in our very own glamper!! I received a couple of yummy food bars, 3 magazines and a one year subscription of MJF for Christmas one year way back in 2004 (I think) and have so thoroughly enjoyed them since. I’ve made many recipes, crafts, knitted from patterns, been inspired in gardening and preserving and have been educated on many different topics. I have checked this book out from the library but would love to have a copy of my own. Thanks for the giveaway! My mom got me this book for one of my birthdays, saying “this looks like your kind of book” well I’ve been a Mary Jane fan since I opened the book. I am continually inspired by Mary Jane’s Farm Magazine. I read it from cover to cover and can’t wait for each new issue to come out. Why am I so taken with the magazine? After all, I am a single mom working 2 jobs in suburban Northern Califirnia, not living on a farm at all.However, Mary Jane’s Farm transcends such superficial distinctions and makes me feel like I am 10 years old again with the assurance that anything is possible. I may not technically live on a farm, but I can sit on my front porch swing and dream that my life could be a bit more farm girl-like and with the inspiration from Mary Jane’s farm, I can begin taking steps to find my inner farm girl and let her run through the fields of my imagination, bringing together the free-spirited girl that I was with the free-spirited woman I would like to become. We had moved to the country to start our farm and while shopping in our local farm and tractor store I found your magazine. I was hooked , being the Mom of a special needs child you don’t get much relaxation so when I bury myself in your magazine it is a respite for me and it brings much comfort, restores my ambitions and gives me so many ideas to fordge forward with. I LOVE it….! Like the quote from Amazon, I found Mary Jane’s approach to life the thing that was most pivotal for me. Her descriptions of how to make an apron or make a hat that is functional yet beautiful, is just the tip of the iceberg. In reality the mindset of choosing to do with less, to reuse, to consider not only functionality but beauty, to consider the ways our actions impact others… All of these and more arise from reading this book. It really did change how I live my life. I now recognize that I need to decide when enough (stuff) is enough, and I consciously choose to support businesses that are in line with my own thinking. I find myself more resource full these days, enlightened by a growth mindset which was seeded in Maryjane’s farm. I enjoy every article and look forward to each issue. My mother-in-law was raised on a farm and the magazine makes a wonderful gift subscription for her. I first picked up a MaryJanes Farm magazine because the cover promised lots of recipes. I actually didn’t realize MaryJane was a real person until I discovered this book! I was heartbroken to return it to the library and was thrilled when my husband bought this book for my birthday. This book has inspired me to make take more steps toward self-sustainability, and the daily blog journal provides a regular dose of farm girl life to this city girl. I was hoping to give this book to a girlfriend who has recently taken the plunge and moved from the city to a hobby farm. Thank you for all the inspiration! I have really been enjoying your magazine,so I share it with a friend and have gotten my daughter a subscription. I am inspired to try your homemade recipes, learn about oils, use your crafts for gifts and decorating….I can hardly wait to get my next issue…thank you!! I love everything about your magazine. I have been inspired by all of the stories from the ladies involved in the magazine. I find so much comfort in the magazines and books, after a hectic day in the world! Thanks for keeping simplicity a thing of value. It was this book that first acquainted me with Mary Jane. I was enchanted with the bag a friend had made from a calendar, and she referred me to this title. I’ve read and enjoyed all the books. I am now a subscriber to the magazine as well. I’d love to win the book! I first found out about MaryJane’s Farm years ago when I read a magazine article in my doctors office. I was excited a couple weeks later to find an issue at our Natural food Coop. I was so fascinated with it that i read it cover to cover in one sitting and then re-read it again later. I’ve been reading and collecting issues every since. I think what has helped me the most is that I knew I was a farmgirl at heart but just had never known how to put it into words before. I just skim other magazines but with MaryJane’s farm I just find every single page interesting and I’ve learned all kinds of new skills from reading it over the years. My husband knows its the one thing I treat myself to i buying every issue. I haven’t been able to read the books yet but I’d so love to! I love the magazine and I really love the Milk Cow Kitchen.! I first came across the MaryJaneFarms magazine In my little tractor supply company store And have been inspired ever since ! The magazine even inspired me to buy my first sewing machine and join the sisterhood! I read it cover to cover and love it. Love your magazine! I plan to retire on Dec 31, 2018! I am so looking forward to doing all the things I’ve dreamed of doing with my large parcel of land my home is on! Chickens might be in my future along with a raised vegetable garden and loads of flowers…I will have enough time to cook for my family and “put up” garden items to achieve a healthier lifestyle. This book will help me plan and dream even bigger that I have already! I love the crafting articles and recipes! I was at the library back in 2008, looking for.something new to grab me. MaryJane’s Ideabook, Lifebook, Cookbook grabbed me just by the photos on the spline! I had been feeling like something was missing in my life. After reading the book cover to cover twice, I made the choice to buy a farm and “simplify” my life. Thank you MaryJane Butters, for helping me find my dream! Your magazine is the only one ever that I read cover-to-cover and have kept every copy I received over the years. I share it with everyone!! Thanks so much for continuing to do such a great job!! The magazine itself. I look forward to seeing it at my local Tractor Supply. Love all the ideas inside. I grew up on a farm in the 50s, but I have lived in the Twin Cities since finishing school. Your magazine is like a trip home (even though home isn’t there anymore) I can feel the warm sun, the crickets singing and the sweet smell of warm earth in the spring. The stars at night that are not visible in the city at night, the early morning sun and smell of the fresh cut hay as work to turn it into bales for winter. I see my mother in the farm girl in every issue standing on the wire wheel in her plaid shirt and sweet smile. I love the visual’s! There are so many wonderful ideas to look at! I love getting new ideas to share with my family. Thanks for the chance to win this book. MaryJanesFarm magazine is my ultimate favorite read! I love the recipes and the creative ideas for crafts! My chickens and gardens are thriving from things I’ve learned. I ❤️ the rural lifestyle and am so happy to have found this magazine! !